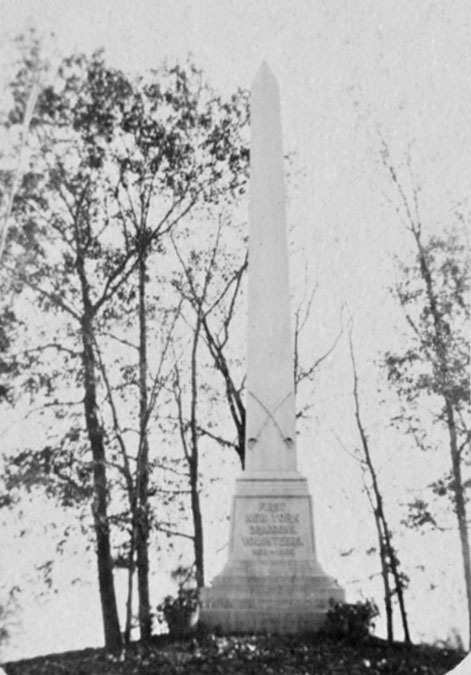 The Dragoon Monument in the Park originally stood near the east end of Portage Bridge. 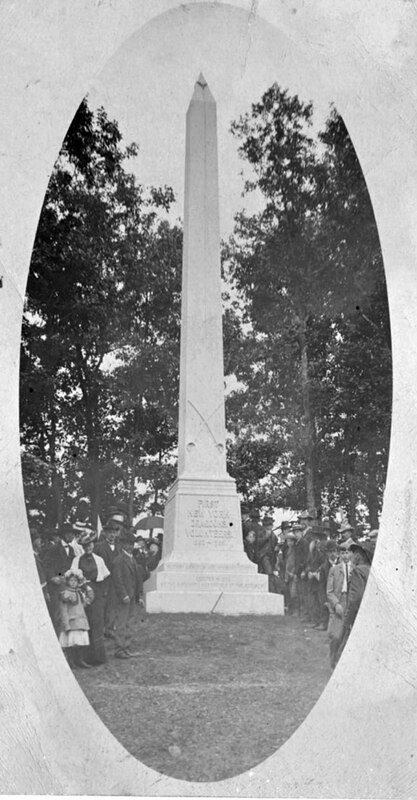 This image may have been taken close to the actual dedication of the monument that was held at the annual Soldiers Picnic in August 1903. Note there is a collar on top of the monument that may have to do with dedication ceremonies. Also see the Photo Souvenir of the Dragoon Monument and our Glimpse of the Dragoon Monument. This view was taken in the late fall or early spring. There are some leaves on the trees and potted flowers sit along side the monument. The veterans of the 1st NY Dragoons eventually voted to move the monument into Letchworth Park. A newspaper article later noted that move was made to make sure the monument would be properly cared for. Later, when the Park's Parade Grounds was dedicated, there was talk of moving the monument once again to the grounds. The monument remains in its 1917 location to this day.